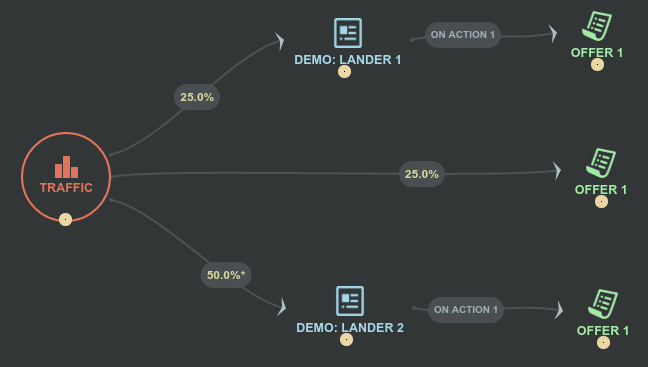 How do I find out if using landers performs better than direct linking? 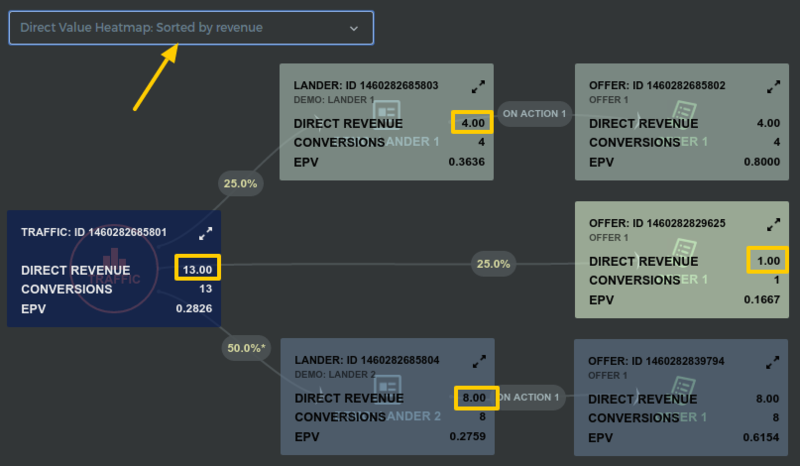 There are several solutions for this, but the easiest one is to use the funnel heatmaps to quickly see which path brings you the highest revenue. According to the screen above, the path using lander 2 brought in $8, while lander 1 generated $4 and direct linking only $1. But yet, that doesn't mean that lander 2 performs better. As you can see, the split test is not sharing the traffic evenly. 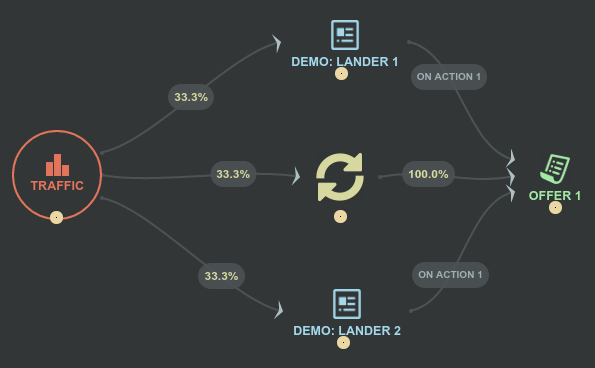 Lander 2 gets 50% of the visitors, while the remaining 50% are shared between lander 1 and direct linking. In the example above, lander 1 is getting the best earning per view. It would then be wise to increase the flow of traffic towards lander 1 to maximize the revenue. Of course, this is only an example and you wouldn't take such a decision without reaching statistical significance first. If you wish, you do not have to duplicate your offer to compare the different paths. 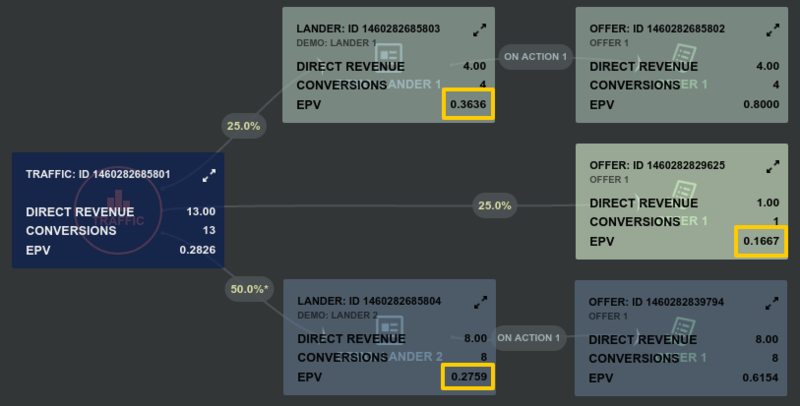 However you need at least one distinct node per path before the offer, to be able to compare them visually. Note that rotator nodes do not slow down redirects -- these are processed server side, so it is sensible to use them when creating paths like this just to give clear, separate routes for heatmaps.